Last month I had a wonderful evening at an Academy screening of REMEMBER THE NIGHT (1940). That very positive experience, along with an enthusiastic review by Will McKinley at Cinematically Insane, prompted me to return last night to the Linwood Dunn Theater at the Academy's Pickford Center for Motion Picture Study. 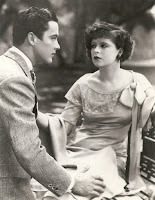 The occasion was the screening of two restored silent films, GET YOUR MAN (1927), starring Clara Bow, and THE BLAZING TRAIL (1921), starring Mary Philbin, with live piano accompaniment by Michael Mortilla. I've been gradually watching more silent films, with last year's silents including great movies such as LUCKY STAR (1929), LONESOME (1928), and 3 BAD MEN (1926), so this double bill seemed like the perfect way to further expand my silent viewing. It was rather exciting that every seat in the theater was filled for a silent movie double bill, with lots of younger viewers in the audience. They even set up some folding chairs in the back of the theater! I enjoyed the chance to catch up with my fellow blogger Kim at the screening. GET YOUR MAN had a few scenes which were deteriorated but still watchable. Two reels were completely missing, but the intertitles had survived on a separate reel of film. The content of the missing reels was filled in thanks to plenty of well-preserved production stills from the Academy's archive being combined with the intertitles, which was a remarkably effective way of conveying the story; a couple of funny moments in this section still drew laughs despite the lack of movie footage. GET YOUR MAN was a completely delightful 57-minute comedy; I felt like I was beaming while watching most of it, I had such a good time. Charles "Buddy" Rogers, seen a few weeks ago in the 1930 two-strip Technicolor treasure FOLLOW THRU, plays Robert, a young man of European nobility who was betrothed to Simone (Josephine Dunn) in childhood. The exquisitely lovely Dunn, incidentally, was the unfortunate murder victim in a pre-Code reviewed last month, BIG CITY BLUES (1932). When Robert takes a trip to Paris he meets vacationing American Nancy (Bow), and their relationship blossoms when they're trapped together overnight in a wax museum. Robert confesses his engagement to Nancy, explaining that the family honor is at stake, but the family honor is no match for Nancy, who shows up at Robert's estate and promptly sets things in motion to free both Robert and Simone to marry their true loves. This was my first Clara Bow film, and she was absolutely wonderful, with impeccable comic timing. I was impressed with how much she made me laugh without being able to say a single word; her facial expressions and sly side grins were priceless. I thoroughly enjoyed this film and highly recommend it. GET YOUR MAN was directed by Dorothy Arzner and filmed by Alfred Gilks. For more on GET YOUR MAN, please visit a column by Susan King in the Los Angeles Times and a post by the Self-Styled Siren. 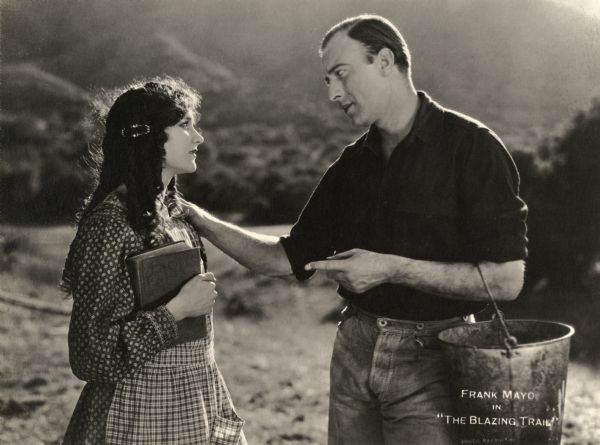 The second movie of the night was a Western melodrama, the 55-minute film THE BLAZING TRAIL. 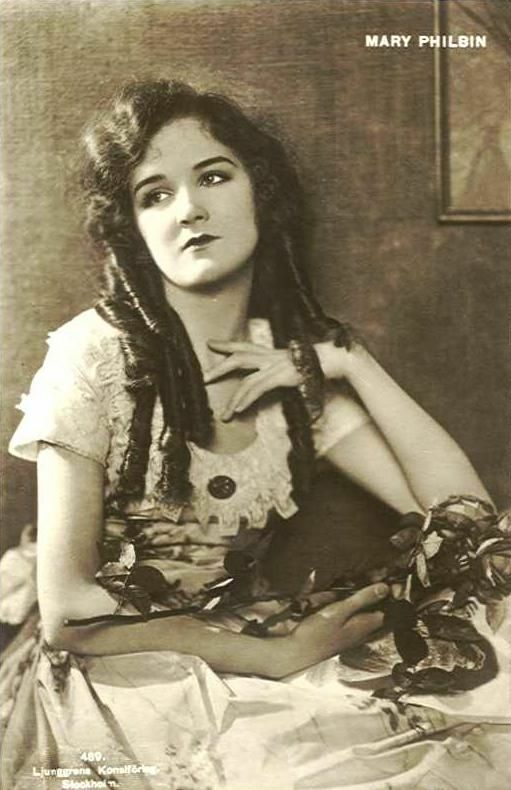 THE BLAZING TRAIL was preserved from a 35mm nitrate print of a 1927 reissue owned by star Mary Philbin, who is best known for playing Christine in the silent version of THE PHANTOM OF THE OPERA (1925). Alas, the other nitrate films in Philbin's garage had all deteriorated; those with color tints were the first to go, but since THE BLAZING TRAIL was in black and white it alone survived. Philbin plays sweet young teenager Talithy, who lives in a mountain community and yearns to learn to read. She pines for an older man known as "Pickins" (Frank Mayo), who unknown to the townsfolk is actually a doctor taking a sabbatical of sorts. Pickins in turn falls for the new schoolteacher (Lillian Rich). The locals get the wrong idea about Talithy spending time with Pickins, and when a stranger in town, Van Dusen (Ray Ripley), attempts to assault both the teacher and Talithy, he convinces Talithy's father (Bert Sprotte) that Pickins was the real culprit. There are near-tragic results before the truth is known. THE BLAZING TRAIL was entertaining although not on the same quality level as GET YOUR MAN. Young Philbin was enchanting and made the film worthwhile for me, although I found a certain lack of resolution for her character disappointing, as the doctor and the teacher ride off into the sunset at the end. Hopefully Talithy at least learned to read! THE BLAZING TRAIL was directed by Robert Thornby and filmed by William Fildew. 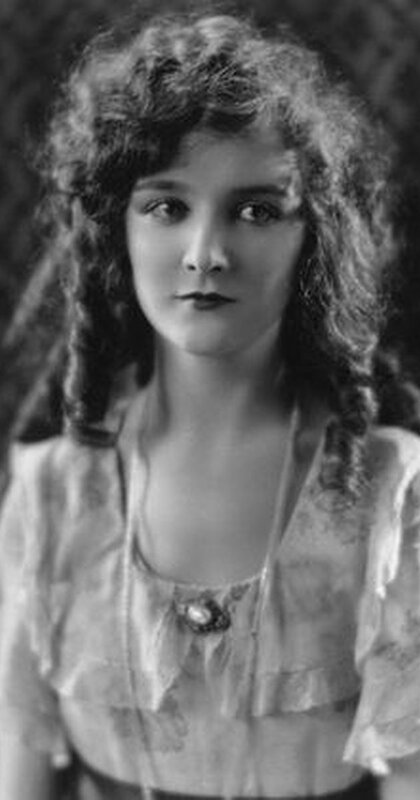 I was interested to learn that Mary Philbin passed away in nearby Huntington Beach in 1993. She never married, as she was dissuaded from marrying the love of her life, Paul Kohner, due to religious differences; Kohner had a long and happy marriage to Lupita Tovar, who is now 105, but it was touching to read that upon his death Mary's letters were found saved in his desk, many decades after they were written. A side note for those who might not be aware, GET YOUR MAN star Charles "Buddy" Rogers was married to Mary Pickford from 1937 until her death in 1979. It was a most enjoyable time at the Linwood Dunn Theater, and I look forward to more such evenings in the future. Nice evening and great way to see these for the first time. Haven't seen either and have only seen Clara Bow in WINGS. Thanks, Kristina! It was a very special evening -- I'm so glad I took a chance on it as it was so entertaining and memorable. Hope you'll have a chance to see GET YOUR MAN, especially!